Then, I turned the coin over and saw a funny clown face stamped on the other side. Immediately, I realized that this coin was a ‘token coin’ that came from an amusement park or a fair playground and it is used to pay for children’s rides and games. I answered Homero, saying that this coin did not have any monetary value. After answering him, he smiled and said, ‘I give you this coin as a present.’ I smiled back and thanked him for this gift. 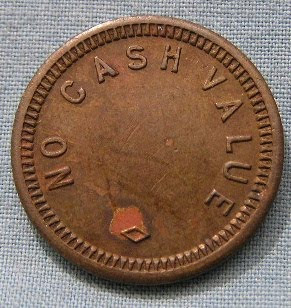 Later on, I learned the great spiritual value of this coin. Many thoughts came to mind as I was flipping the coin, scrutinizing its two faces. I realized that when you have a mission in life or a path to accomplish, this is a duty, and the duty has come from our faith or our conscience. This mission of duty has ‘no cash value’, which means that these actions are fulfilling a spiritual goal. These goals do not give back any monetary rewards during our lives. And that it’s a duty that makes us, by choice, fulfill and accomplish it. In my opinion, missions in our life can be paid with these illustrative coins. And they should always be, figuratively speaking, in our pockets or wallets to remind us of our commitment to this mission and our spiritual goals. I recognized another message on the other side of the coin with the funny clown face. This image told me that we have to see our mission with a child’s mind, without discrimination of any kind, with a joyful spirit, having fun with what we do even if it means making a choice or sacrifice, always looking for the feeling of joy as the result of serving. We have to see our mission from a child’s point of view and child’s heart. 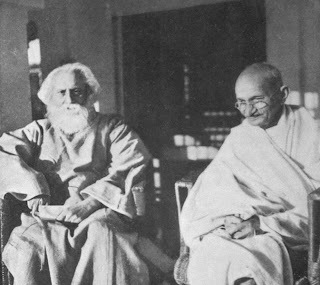 Rabindranath Tagore’s poem summarizes the essence of our mission. “I slept and dreamt that life was joy, I awoke and saw that life was service, I acted and behold, service was joy”.